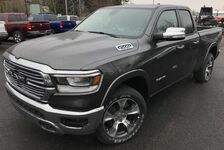 Contact Rock City CJD today for information on dozens of vehicles like this 2019 Ram 1500 Big Horn/Lone Star. There's a level of quality and refinement in this Ram 1500 that you won't find in your average vehicle. This 4WD-equipped vehicle will handle majestically on any terrain and in any weather condition your may find yourself in. 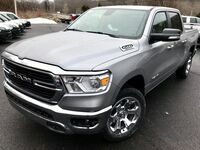 The benefits of driving an Four Wheel Drive vehicle, such as this Ram1500 Big Horn/Lone Star, include superior acceleration, improved steering, and increased traction and stability. Just what you've been looking for. With quality in mind, this vehicle is the perfect addition to take home. There is no reason why you shouldn't buy this Ram 1500 Big Horn/Lone Star. It is incomparable for the price and quality.